John D. Husted - Fanning Harper Martinson Brandt & Kutchin, P.C. - Fanning Harper Martinson Brandt & Kutchin, P.C. 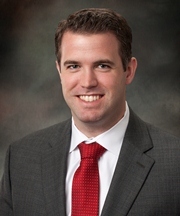 John Husted joined Fanning Harper Martinson Brandt & Kutchin, P.C. in 2007. John’s practice includes representation of public and private entities in general areas and in litigation, with a focus on civil rights and employment litigation, contract disputes, school law, and appellate advocacy. John earned an undergraduate degree in History from the University of Dallas. Before becoming an attorney, he was a high school teacher and coach. Morgan v. Braswell, No. 4:12-CV-290, 2013 U.S. Dist. Lexis 115121 (E.D. Tex. August 15, 2013) (prevailed on summary judgment in equal Pay Act Claim). Berkman v. City of Keene, 311 S.W.3d 523 (Tex. App. – Waco 2009, pet. denied) (dismissed for lack of jurisdiction because contract for provision of city utilities did not fall within the limited waiver of governmental immunity for contracts). Emanuel v. Bastrop Independent School District, 591 Fed. Appx. 302 (5th Cir. 2015) (school counselor’s appeal of the lower court’s dismissal of her race discrimination and retaliation claims against the school district dismissed for failing to make cognizable legal argument). “Basics of Qualified Immunity,” the State Bar Government Law Boot Camp, July 2014 (sponsored by the State Bar of Texas and the Government Law Section) (coauthor). “Criminal Law Update,” Bill of Rights Course: Litigating the Constitution, May 2014 (sponsored by the State Bar of Texas and the Individual Rights and Responsibilities Section) (coauthor). “Texas Whistleblower Act Update,” the State Bar Government Law Boot Camp, July, 2014 (sponsored by the State Bar of Texas and the Government Law Section) (coauthor). “The Basics of Qualified Immunity,” State Bar of Texas Government Law Boot Camp, 2012 (coauthor). “Religion in the Public Square,” Suing and Defending Governmental Entities, sponsored by the State Bar of Texas, July 2012 (coauthor). “Lawsuits Against the Government,” Bill of Rights 2012: Litigating the Constitution, May, 2012 (coauthor) (sponsored by the State Bar of Texas). “Social Media Issues – Virtual Friends/Real Problems in Schools.” Coauthored and Co-presented at Terrell Independent School District. (April 2, 2012). “Immunity for Individuals,” Suing and Defending Governmental Entities Course, sponsored by the State Bar of Texas, July, 2011. (coauthor). “Hot Topics in Constitutional, Civil Rights and Local Government Law,” FHMBK’s Ninth Annual Texas Legal Update, November, 2010 (coauthor). “Pre-Suit and Pre-Trial Discovery in Government Litigation.” Coauthored with Joshua A. Skinner, Esq. for presentation at the State Bar of Texas Bill of Rights Course (May, 2010). “Immunity for Public Officials.” Coauthored with Thomas P. Brandt, Esq. and Joshua A. Skinner, Esq. For Presentation at the State Bar of Texas Bill of Rights Course by Joshua A. Skinner, Esq. (May, 2010). “Hot Topics in Constitutional, Civil Rights and Local Government Law.” Authored and presented at the Ninth Annual Texas Legal Update, sponsored by FHMBK. (November, 2010). “ABC’s of Qualified and Official Immunity” Coauthored with Thomas P. Brandt, Esq. and Joshua A. Skinner, Esq. Presented at the State Bar of Texas Suing and Defending Governmental Entities Conferences by Thomas P. Brandt, Esq. “Lawsuits Against the Government” Coauthored with Thomas P. Brandt, Esq. and Joshua A. Skinner, Esq. Presented at the State Bar of Texas Annual Meetings by Thomas P. Brandt, Esq. “Hot Topics in Constitutional and Employment Law” Coauthored with Thomas P. Brandt, Esq. Presented at the Seventh Annual Texas Legal Update (November 13, 2008). “Hot Topics in Constitutional, Civil Rights, and Local Government Law.” Authored and presented at the Eighth Annual Texas Legal Update, sponsored by FHMBK. (November, 2009).